KUALA LUMPUR: Penterjemahan karya agung China ke bahasa Melayu dapat membantu masyarakat Malaysia memahami kebudayaan tamadun negara itu. Ketua Eksekutif Yayasan Karyawan, Datuk Zainal Abidin Borhan, berkata terjemahan karya sastera asing ke bahasa Melayu juga akan membuka lebih banyak ruang kajian akademik dan memantapkan sastera terjemahan. 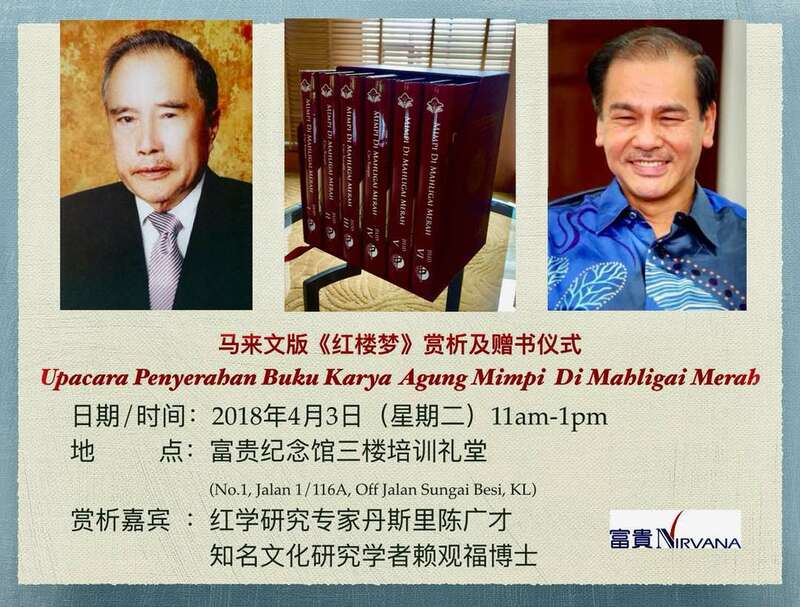 Zainal Abidin berkata, penterjemahan Hongloumeng karya pengarang China abad ke-18 sudah dilakukan kepada 20 bahasa tetapi ia belum terlambat untuk bahasa Melayu. 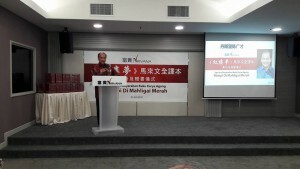 “Terjemahan ke bahasa Melayu itu dapat membantu masyarakat di negara ini untuk memahami dan mengenali kebudayaan serta pemikiran masyarakat China. “Naskhah yang diterbitkan Yayasan Karyawan, Persatuan Siswazah Jabatan Pengajian Tionghua, Universiti Malaya (UM) dan Dewan Bahasa dan Pustaka (DBP) itu akan dilancarkan oleh Perdana Menteri, Datuk Seri Najib Razak pada 28 September ini,” katanya pada Majlis Sidang Media Memperkenalkan Naskhah Terjemahannya, Mimpi di Mahligai Merah di DBP di sini, hari ini. 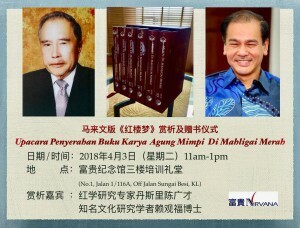 Yang turut hadir, Presiden Kehormat Persatuan Siswazah Jabatan Pengajian Tionghua Universiti Malaya (UM), Tan Sri Chan Kong Choy dan Timbalan Ketua Pengarah DBP, Datuk Abang Sallehudin Abang Shoekran. Sementara itu, Kong Choy yang mengkaji naskhah itu pada peringkat sarjana berkata, beliau mencadangkan naskhah itu untuk terjemahan kepada Yayasan Karyawan sejak 2007. “Seperti naskhah ini yang mengambil masa 10 tahun untuk ditulis oleh pengarangnya, kami juga mengambil tempoh yang sama untuk menterjemahkannya. “Ini kerana proses penterjemahan karya bukan mudah apatah lagi ia membabitkan perbezaan budaya,” katanya. Mimpi di Mahligai Merah yang ditulis pada 1779 ialah kisah dua keluarga yang berlatarbelakangkan zaman Dinasti Qing. Full of knowledge: Some of the collections of the books that can be found in Universiti Malaya. KUALA LUMPUR: Local non-Chinese readers will be able to appreciate the essence of the famed Dream of the Red Chamber when the Malay version of the classic novel hits the shelves. Commending the translation efforts, Transport Minister Datuk Seri Liow Tiong Lai said it would spark deep discussions among people of all racial and cultural backgrounds, which could forge closer ties. 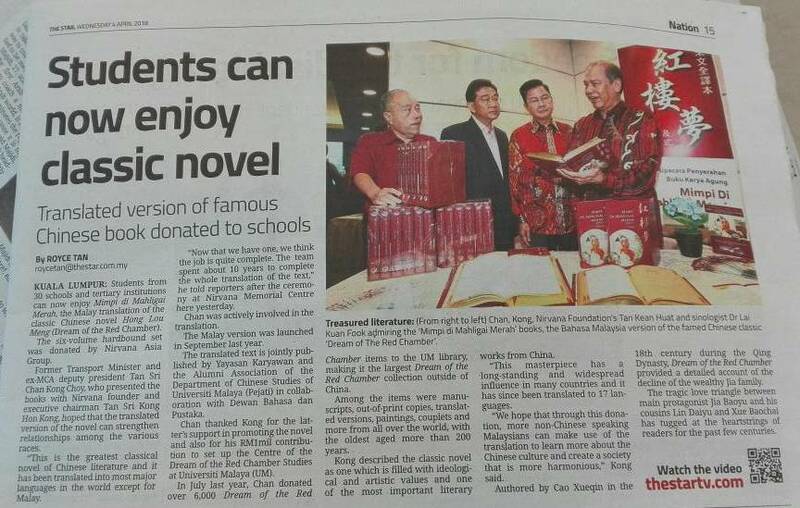 “This will allow the Chinese literary masterpiece to enter the Malay circle,” he said. Liow, who is MCA president, was delivering a speech to the reporters at the opening of the Dream of the Red Chamber resource centre at the main library of Universiti Malaya yesterday. 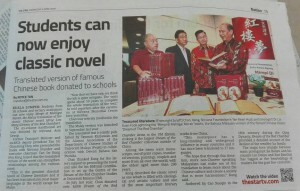 The collection was donated by former Transport Minister Tan Sri Chan Kong Choy. 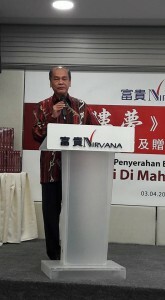 The translation of the acclaimed novel was the idea of Chan and former Yayasan Karyawan chief executive officer, the late Datuk Dr Hassan Ahmad. 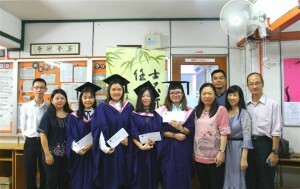 The translation was now in its final stage and would be completed in September, Liow said. Redology – the academic study of Dream of the Red Chamber – dissects a myriad of aspects in the novel, ranging from costumes, food and beverages, garden design, medicine, wellness, character image, arts and poetry to music. 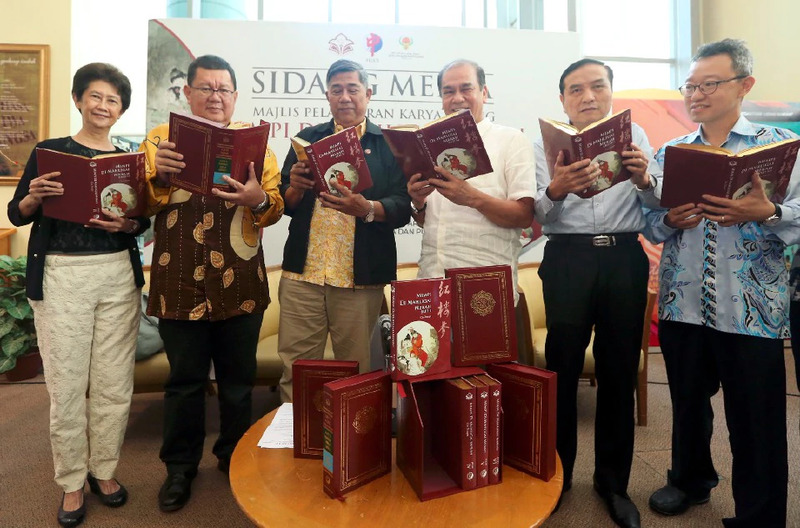 With Dream of the Red Chamber available in Malay, more local scholars could delve into the research of its aesthetic values and contribute to the global conversation on Redology. 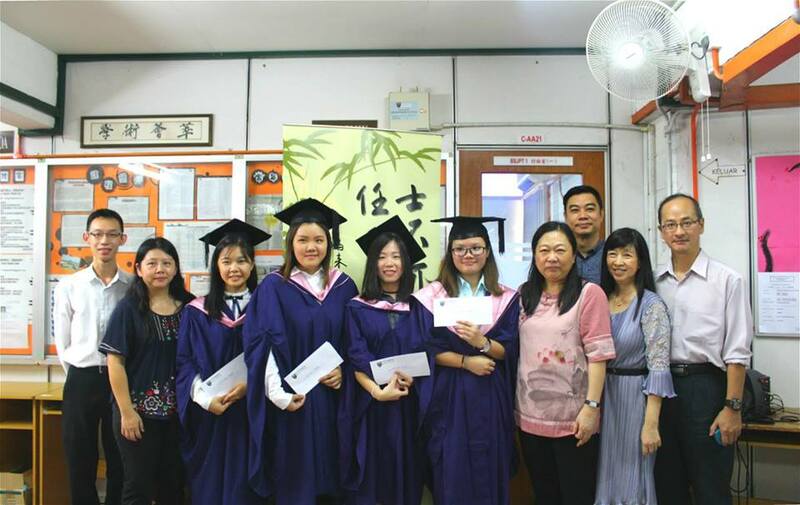 “I look forward to seeing the first set of Malay commentaries on one of China’s finest literary masterpie­ces in the near future,” Liow said during the press conference. He added that the collection would put UM on the world map as a significant Redology hub, and invited the audience to honour Chan with a standing ovation for his generous contribution. 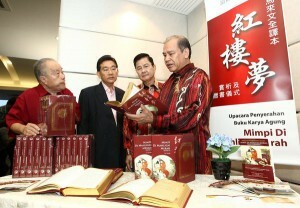 China’s Embassy in Malaysia cultural office director Zhang Jiexin said the Malay version marked an important milestone in the promotion and circulation of the masterpiece in Malaysia. To date, the novel has already been translated into 23 different languages. Zhang credited Chinese education for laying a strong foundation for the popularity of Chinese literature here, including Dream of the Red Chamber. Expressing his gratitude to Chan, UM acting vice-chancellor Prof Dr Awang Bulgiba Awang Mahmud said the contribution would make a very well-known collection in the university for students, staff members and the public. “It is Chan’s passion in Redology that prompted him to donate this wonderful collection to his alma mater,” he said.